Data Manipulation Language (DML) – These statements allow you to manipulate the data within your tables. Technically, the SELECT statement is in its own category DQL (Data Querying Language). However, most people place it into the DML category. Data Control Language (DCL) – These statements are used to control data. Specifically, they are used to manage the permissions to each of the objects with your SQL database. Data Definition Language (DDL) – These statements are used to define how objects are made, modified, and deleted. Transactional Control Language (TCL) – These statements are used to control how transactions are processed. 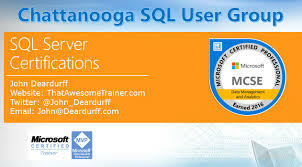 Be the first to comment on "SQL Server Categories"